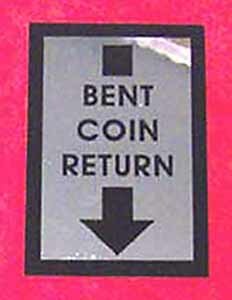 BENT COIN RETURN decal for early Ideal cast aluminum coin mech. Very Shiny! Vinyl and easy to apply. Decal measures 2-1/4 high x 1-1/2 wide. 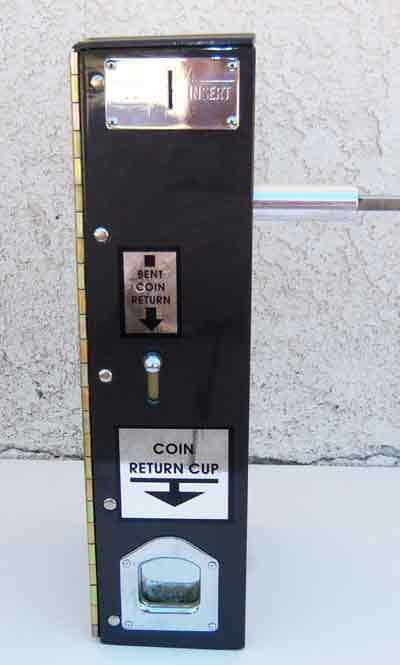 Found on slider coin mech known as the "Frankenstein".